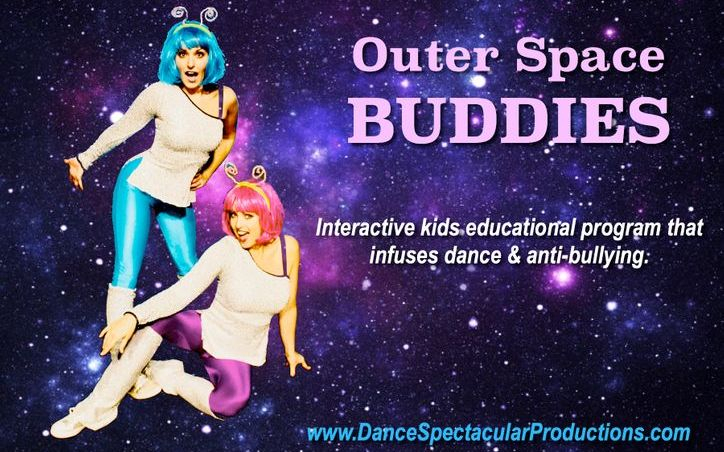 Educational Kids Programs infusing anti-bullying & dance. "Be a Buddy not a bully." 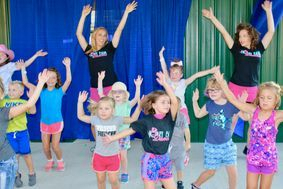 Our dancers & singers are fantastic role models for the youth of today, and we work very hard at getting these positive messages and family values across to the youth as we perform around the world. 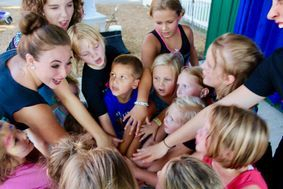 The kids have a blast dancing & singing in the shows with our performers, while learning valuable life lessons. 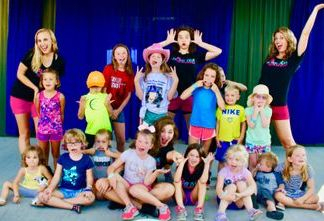 "Just wanted to drop a note and let you know what a wonderful addition Dance Spectacular Productions, were to the Illinois State Fair. 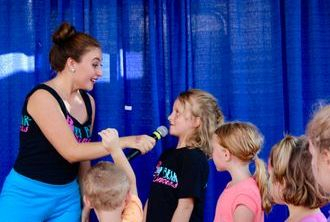 Your upbeat and positive performances from this past fair have generated several phone calls and emails from fairgoers complimenting your shows & Kids Dance Workshops. This is the type of feedback we enjoy receiving from our Fair patrons. Thanks again for providing great entertainment, and we hope to work with you again in the near future." Look up into the night sky because the “Stars” of the show, Galexia & Pandora, are coming to Earth! They may look very different from the Earthlings, but all walks of life deserve love & respect. These Stars want you to learn how to respect everyone’s differences. Have no fear, Super Dancers are here! 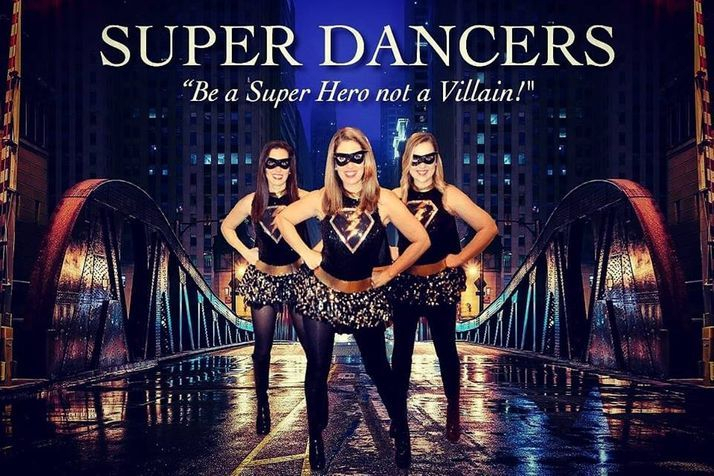 "DANCE Spectacular Productions" presents our new educational program: "Super Dancers"
These Super Heroes are using their super hero powers to spread love to the kiddos across the globe. Their anti-bullying message "Be a Super Hero, not a Villain" teaches the kids to choose kind lifting one another up. Heroes are made by the path they choose, not by the powers they are graced with. There is a super hero in all of us, we just need the courage to put on those "magic dancing boots."